The Carinya Select Bi Fold System is a unique combination of form and function, with flat sill provisions for smooth accessibility and optional mid rails with multi-point locking in a range of opening configurations. Consisting of a modern designer look, the Carinya Bi Fold extrusions are a consistent 85mm wide face on both the stiles and rails. This allows a balanced visual face and allows a vast array of hardware lock options. Combined with optional spigots, these door panels are superior in strength and performance. With the use of the innovative Centor Bottom rolling hardware the system overcomes the requirement for any structural beam as needed in a top hung Bi Fold system. This is ideal for the new or renovation market that want an Alfresco style opening without the additional cost of a structural beam. The Carinya attention to detail includes concealed flush bolt brackets, reducing visible fixings, as well as custom extrusion design allowing for clean interaction with door hardware. 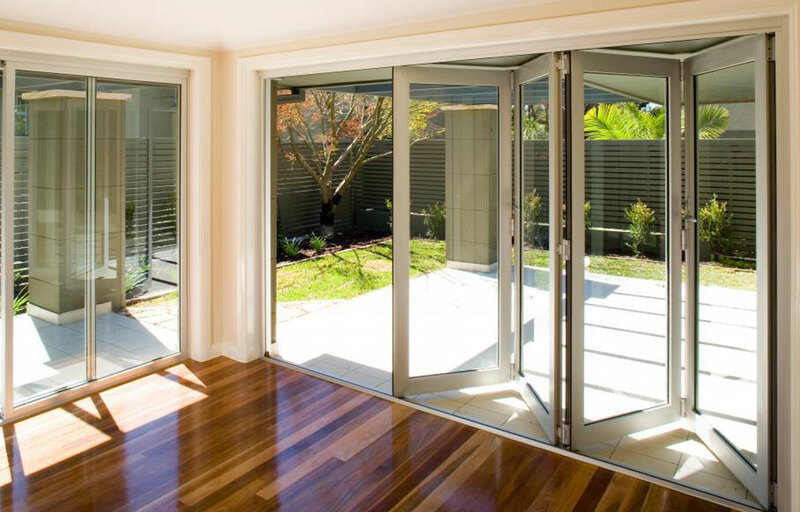 The Carinya Bi Fold system has been fully tested to comply or exceed the new changes in the Australian Standard AS2047-2014 Windows and external glazed doors in buildings. Suitable for all glass thicknesses from 4mm through to 10.5mm. 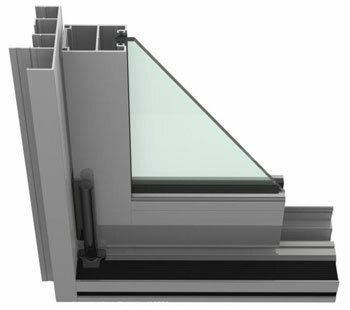 Suitable for double glazing with up to 24mm insulated glass units. No structural head beam required for installation reducing cost. High acoustic, energy & water penetration rating. Captive wedge glazing for added security. 85mm wide stiles & rails for consistent visual appeal. Exclusive glazing technique for long lasting operation. Optional 4 point locking with turn snib release for easy access. Commercial grade spigot fixings for a long lasting durable application. The Carinya Select Bi Fold System has been designed with hardware from the start, not as an after thought. All locks and flush bolts blend seamlessly with the custom extrusion for a professional finish. The sashes feature an commercial door spigot, allowing a strong and robust panel for enduring use making the panel free of twist and movement. Standard lock hardware options include ALSPEC’s custom Australian made Killara Furniture, combined with Lockwood’s proven Optimum mortice lock. Fitting snug within the stile and allowing an extended backset; this lock removes the common issue of minimal key distance to the jamb. Other lock options include commercial locksets and furniture for a complete choice, as well as two and four point locking on the active leaf panel.